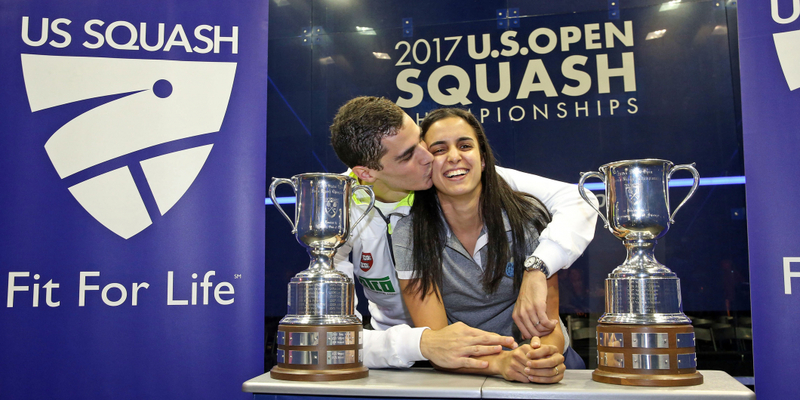 Egyptian squash players Nour Al-Tayeb and Ali Farag were crowned winners, on Saturday, of the women’s and men’s 2017 U.S. Open Squash Championships presented by Macquarie Investment Managment. 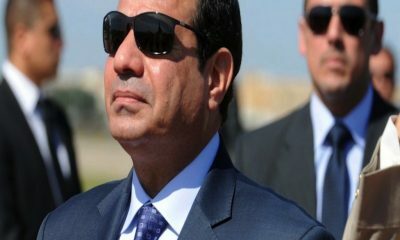 Al-Tayeb and Farag became the first married couple to reach the finals of PSA world series events and win on the same day, according to Eurosport. This is the first PSA World Series titles for both champions. Al-Tayeb had to surpass World No.4 Laura Massaro and World No.3 Raneem Al-Welily in order to secure her title. She told PSA that she has been dreaming about this title and worked so hard for it over the past two and half years. Al-Tayeb said that as soon as she concluded her game, she wanted to watch Farag play as a sign of support for his hard work and long hours of practice. “It feels really special that both of our first World Series titles happen to be together,” said Al-Tayeb.